- Non - magnetic & Magnetic. To fulfill the demands of our valued clients, we are highly engaged in offering White Magnetic Board Duster with Holder. 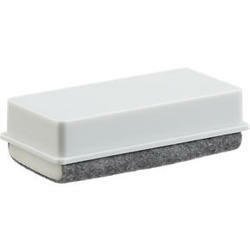 We have gained a remarkable position in the market that is involved in offering Magnetic Eraser. 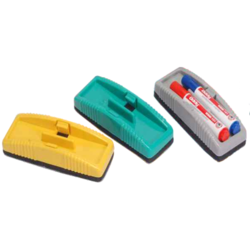 We are engaged in manufacturing and exporting a wide range of whiteboard Duster. This duster has a capacity to hold two marker with ease.